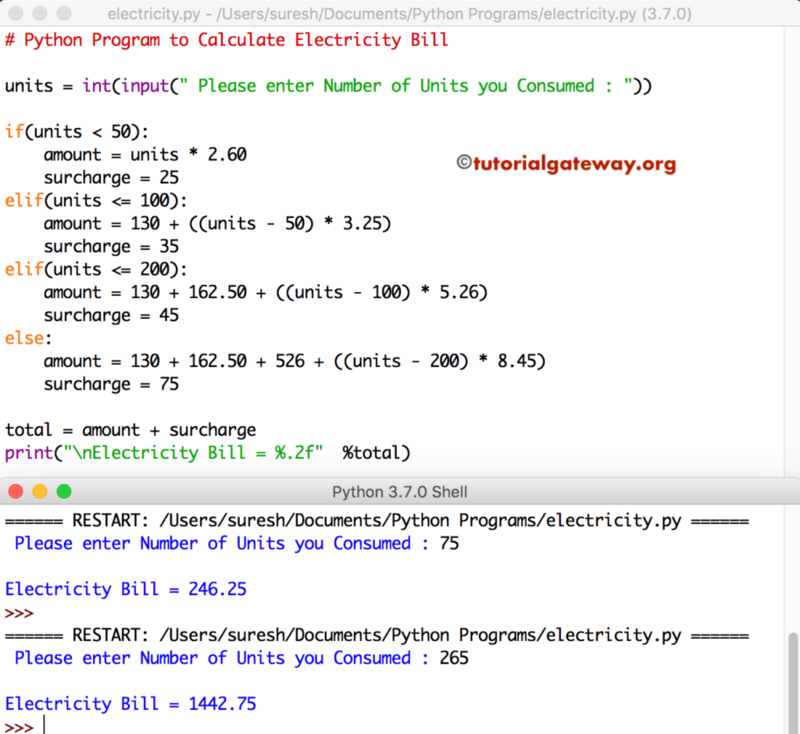 In this article, we will show you, How to write a Python program to Calculate Electricity Bill with example. For this, we are using Elif Statement. This python program allows user to enter the units consumed by user. Next, it will calculate the Total Electricity bill. This approach is useful if the Electricity board is charging different tariffs for different units. For this example we are using the Elif statement. This code is useful if the board has uniform rates. Something like: if you consume between 300 and 500 units then changes will be fixed as 7.75 Rupees for Unit etc.